For the promoting and distribution of your company profile and documents look no further than Avis Printing’s top quality range of professional presentation folders. Whether you need a small set of one off marketing folders or a large order of elite finely finished products we have what you need. Presentation folders come in a range of standard die cut shapes and sizes, however custom designs can be produced. * Sizes are larger than the standard paper sizes to fit paper. Extra gusset may change size and pricing. * Knife Template or Custom Design charges may apply. 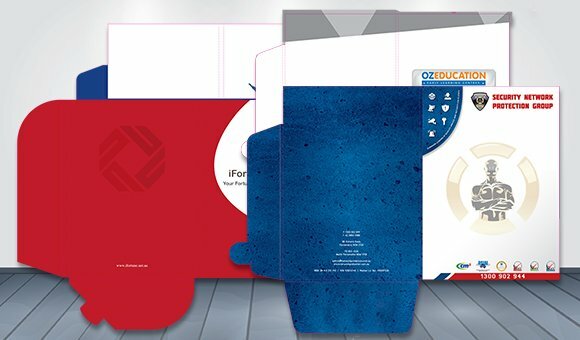 Avis printing specialises in printing presentation folders Sydney at the best presentation folder printing price. 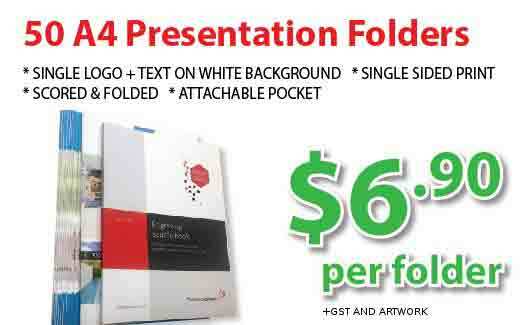 We have Sydney’s cheapest presentation folders and the best quality presentation folders available. We produce black and white presentation folders, full colour presentation folders and offer presentation folder printing specials every day. In fact we offer the cheapest 500 presentation folders printing in Australia, backed up by our lowest price guarantee to give you the best price for presentation folders. Marketing Folders, Patient Folders, Client Folders, Case folders, Document Folders.